In early 2016 I visited Tanzania for the third time. 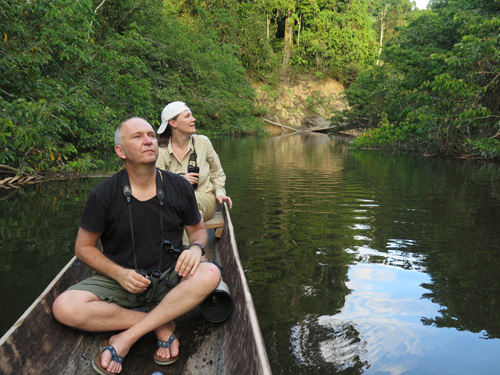 This was a work trip but there was no way I could visit one of the world’s great mammal watching destinations without trying to see a few new species – and showing a few more to my girlfriend – so I contacted Charles Foley for his advice. Charles is a regular contributor to the blog and website and is still the unbeaten (though recently equalled) holder of the Big Mammal Day Record. And, after 20 years working with Tanzanian Elephants, he’s one of the country’s foremost mammal experts. Perhaps even more importantly, he’s a great guy to spend time in the field – or over a beer – with. Before I continue I must give another plug for the really excellent field guide to Tanzania’s larger (and medium) mammals that Charles and his wife Lara put out in 2014. This trip was the first time I’d used the book in the field and it’s a must have if you are visiting Tanzania. I particularly liked the single page summaries at the end for each of the key national parks. Each summary gives a colour coded list of mammals, organised according to those you can expect to see in i) a day ii) 2 days; or iii) once in a blue moon. 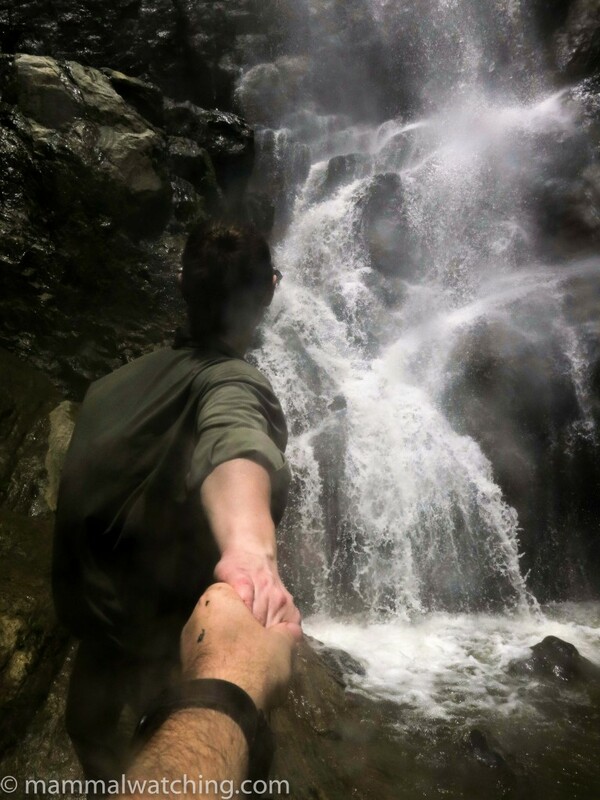 This information is gold: like many of us, I spend hours trawling through previous trip reports to try to come up with similar information when planning a trip and deciding where to focus my efforts. I had two free weekends, on either side of the workshop I was running in Dar es Salaam. Charles suggested I should spend one weekend in Udzungwa National Park, to see two endemic primates, and the other with him in Arusha. 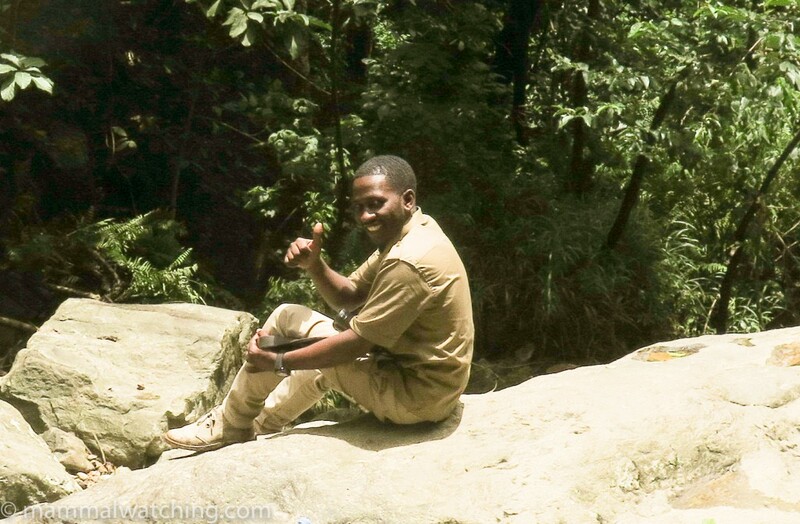 The Udzungwa Mountains are – after escaping Dar’s notorious traffic – about a 7 hour drive from the city. 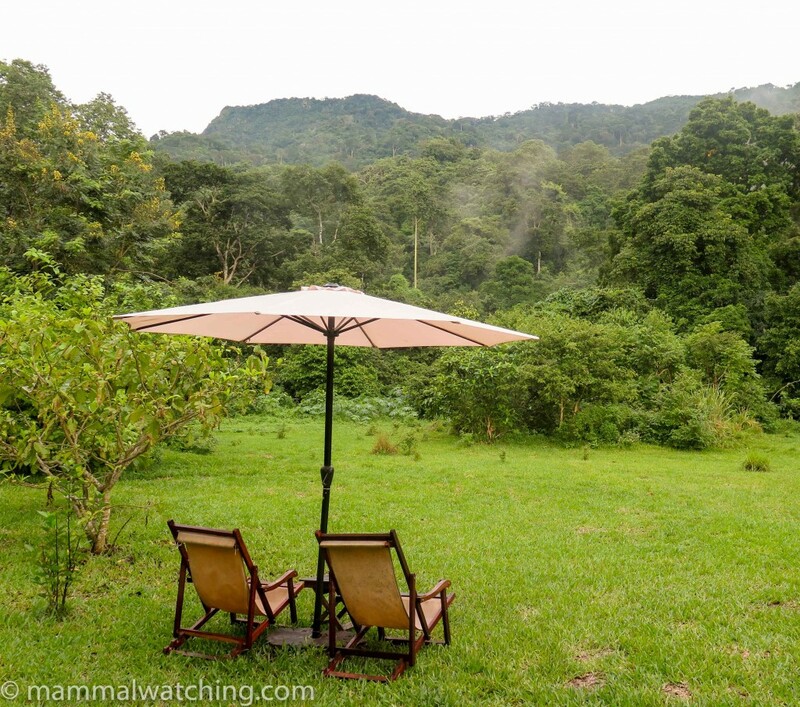 There are few options for accommodation in the area it seems, and I was advised that the Hondo Hondo Tented Camp was my best bet. 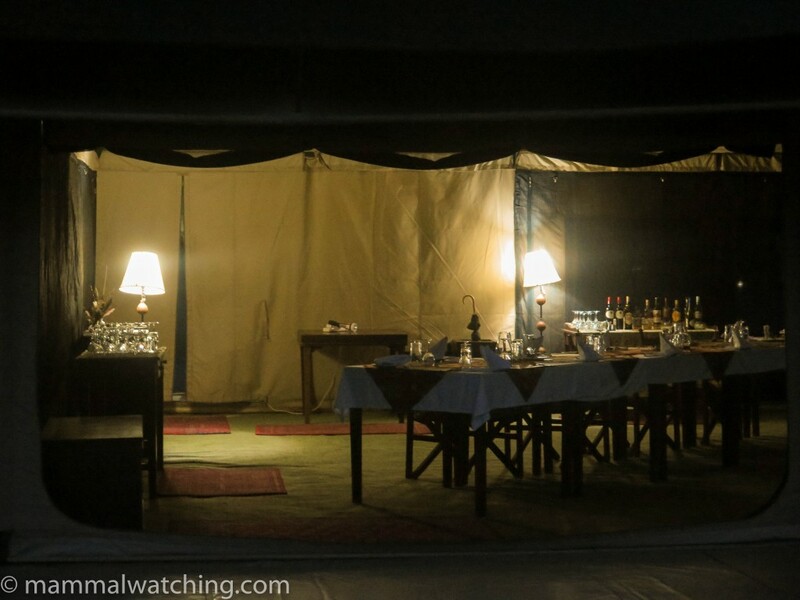 The camp is run by Wild Thing Safaris who can also arrange transport to the park from Dar. We stayed in one of the camp’s very comfortable safari tents, though it is also possible to stay in a cheaper hut or even pitch you own tent in the garden. The drive from Dar was long and slow, though relaxing because our drive Selim was safe and considerate. 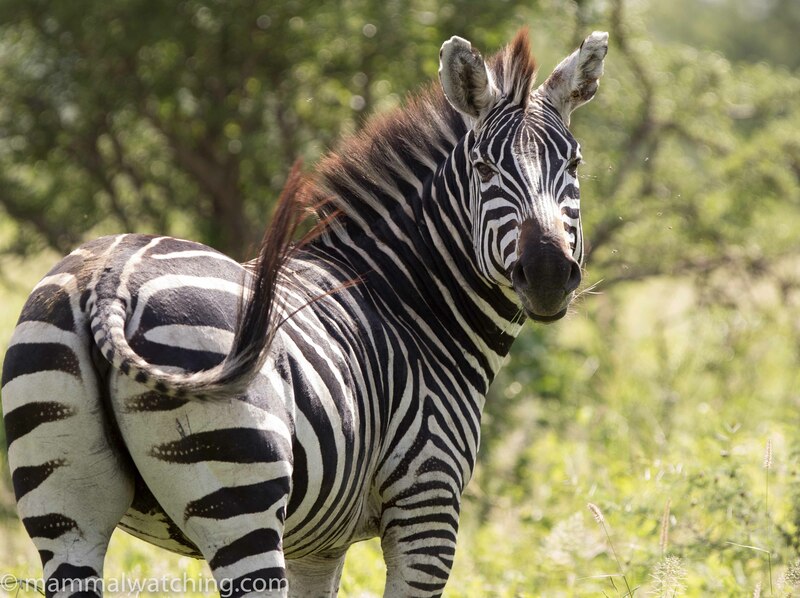 The journey takes you through Mikumi National Park where we saw quite a bit of wildlife from the road: particularly around the turn off to the park gate, where the Impala, Warthog, Zebra and Yellow Baboons were joined by Giraffes, a few Elephants, Wildebeest and Cape Buffalo. Hondo Hondo Camp is in a beautiful setting at the edge of the rainforest. We sat down for a late lunch when we arrived. 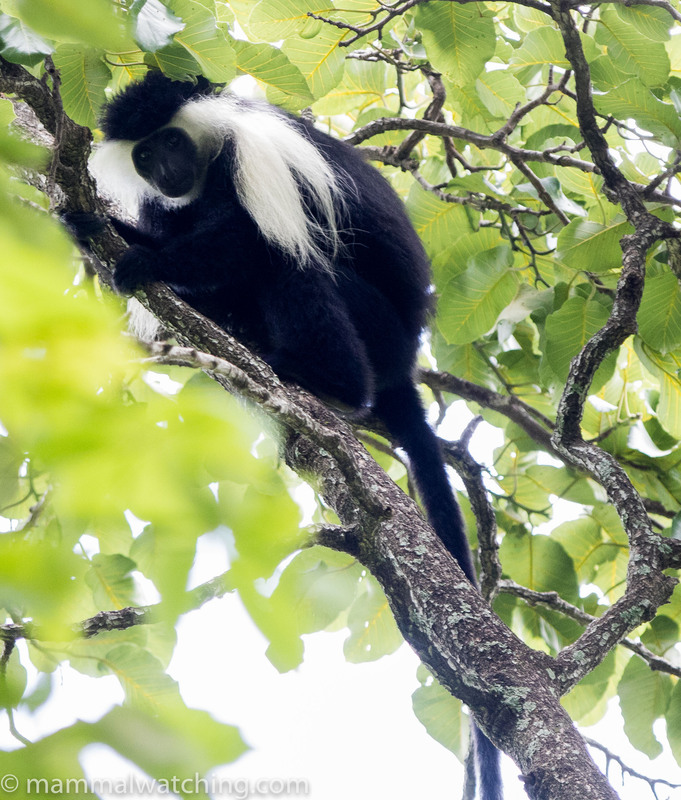 Before we’d finished the starter we’d seen Angolan Black and White Colobus Monkeys, and then my first of the endemic Udzungwa Red Colobus Monkeys shortly afterwards. There is a short nature trail through the edge of the forest I took a stroll along it in the late afternoon with a guide (more to show me the trail than the animals). 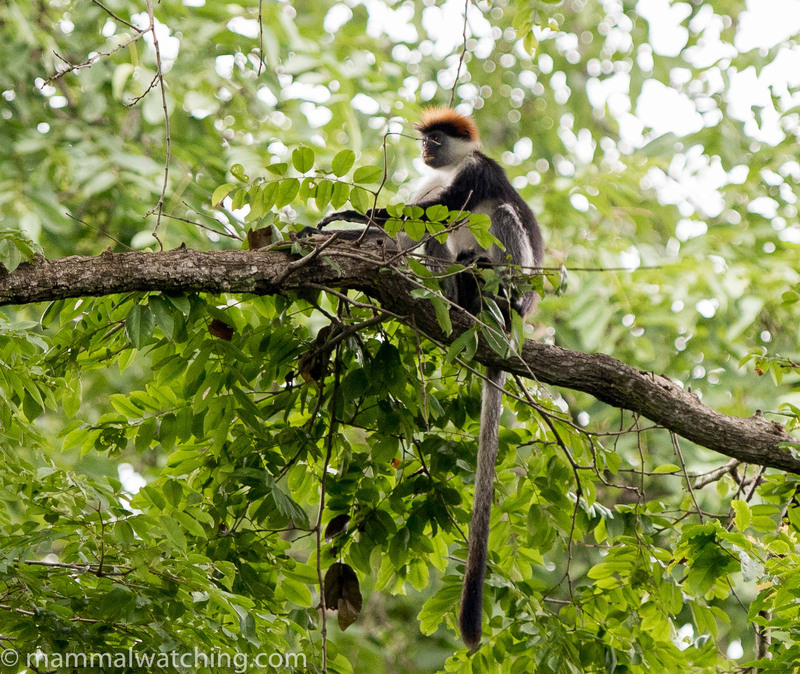 We had very good views of more Red Colobus and some Blue Monkeys. Yellow Baboons congregated in the trees closer to the lodge just before sunset and after dark the air was thick with the call of Eastern Tree Hyraxes (which Charles neatly describes in his book as akin to a hammer hitting a metal plate). I took a bit of a stroll along the nature trail but didn’t come close to seeing a Hyrax or anything else for that matter. Dinner was delicious. It rained heavily throughout the night. The next day we left the camp just before 8am to arrive at the park gate when it opened. 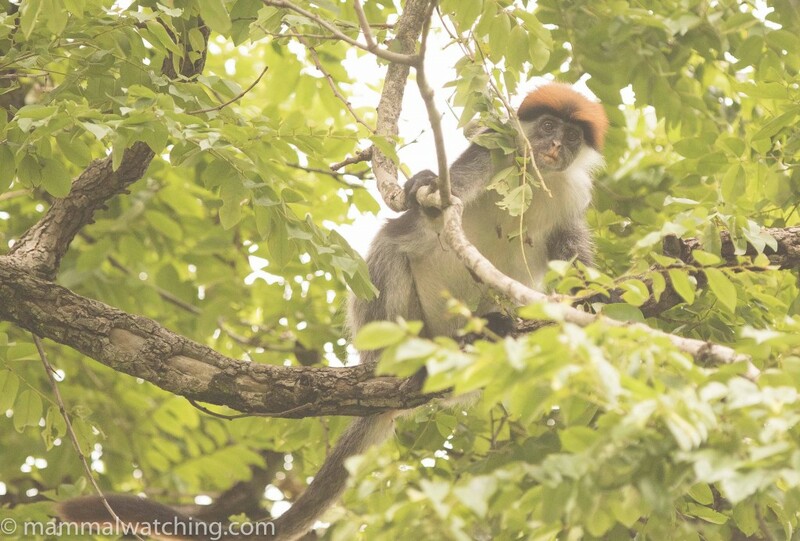 While the endemic Colobus is quite easy to see, finding the other endemic primate – the Sanje Mangabey – is a little more complicated. The Mangabeys – not described by science until the 1970s – have never been seen in the forest near Hondo Hondo. 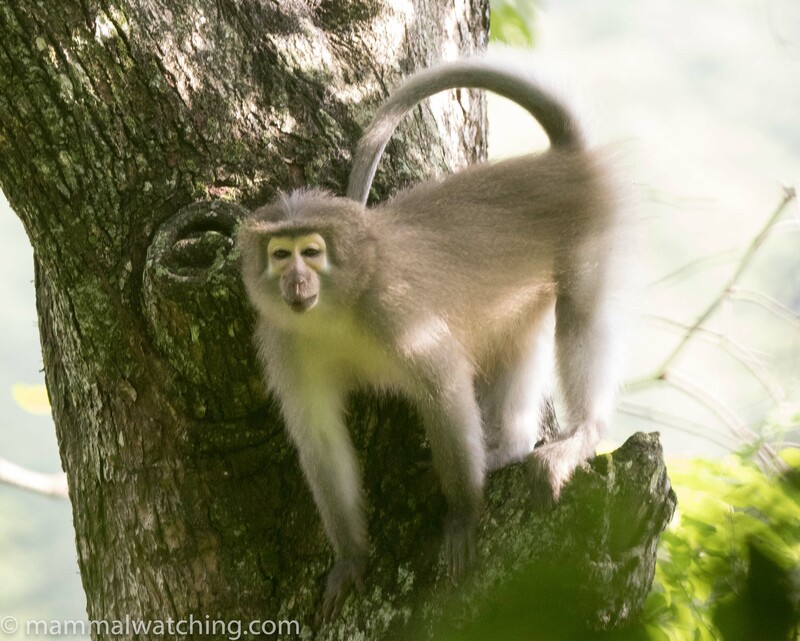 By far your best bet to see them is to arrange a walk in the national park with a dedicated Mangabey guide who should be able to find a habituated troop. I’d let the safari company know well ahead of time that I wanted to see the Mangabeys, but I am not sure that message had reached Hondo Hondo. 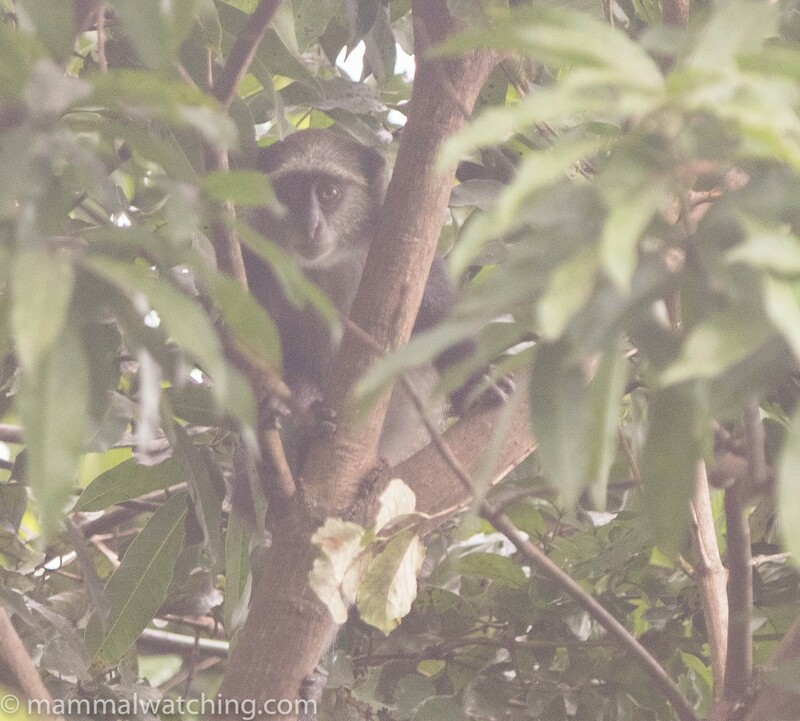 This was a little unfortunate: it seems the habituated Mangabeys are usually along the 6km Njokamoni trail, with a pair of researchers usually following the monkeys. I say “usually” because when we got there, one of them was in hospital with malaria and the other was away and the habituated monkeys had not been seen for several days. I got the impression that, had the park known I was coming, they would have contacted the researchers ahead of time. So try to ensure someone alerts the national park several days in advance of your visit. Amber and I were assigned a park guide – the really excellent and enthusiastic Godlisten (yes, seriously). He is highly recommended. Godlie (I was relieved when he suggested we call him that) reckoned our best chances were to try to the Njokamoni trail, despite the lack of recent sightings. Although only 6km, the trail took the best part of 6 hours to walk. In part because we spent a good deal of time looking for Tree Hyraxes and eating lunch. It’s a fairly moderate climb and surprisingly not too muddy despite the heavy rain in the night. The final stretch is a rapid descent so I am glad we walked in the direction we did (taking the trail head from the main gate). Both Black and White and Red Colobuses were common. We also got a brief look at a tree squirrel, which must have been a Swynerton’s Bush Squirrel which Godlie sees on most walks. Mountain Ground Squirrels are also seen from time to time but not by me. I was very keen to see an Eastern Tree Hyrax, which are regularly seen in the park, usually among boulders where they often sun themselves. Godlie knew where to look and sure enough we spotted a few. 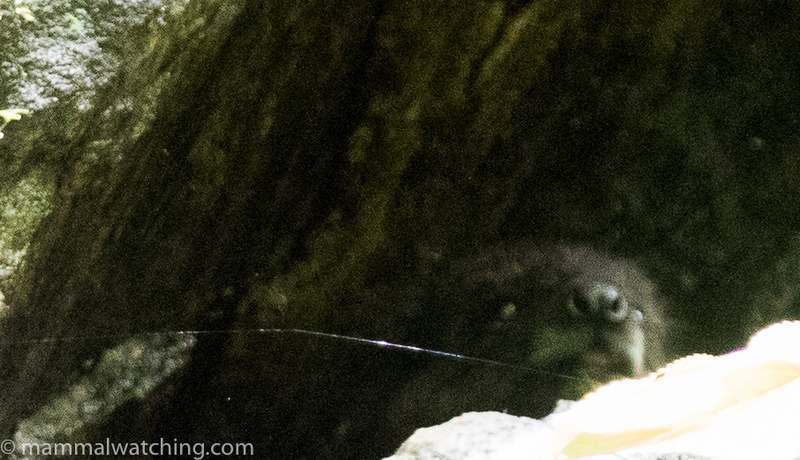 I got photos of one peeping out of a distant and small cave (see above). But the last obligingly posed for photos under a ledge. It was a lot creamier on the chest than some descriptions of this species, but they are quite variable. 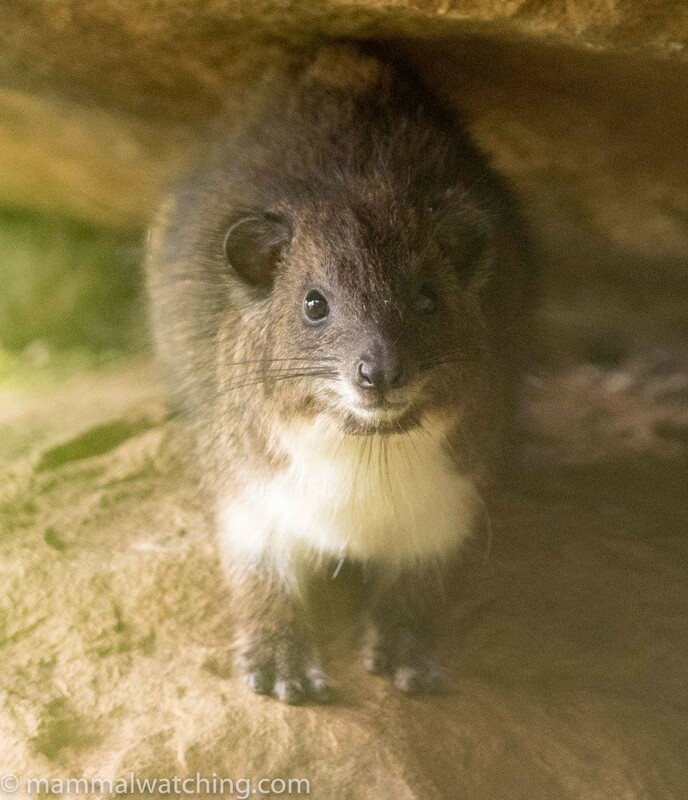 After searching for the cryptic Western Tree Hyraxes in the Central African Republic it was great to see one of their cousins. After a packed lunch at the Njokamoni falls and continued down the mountain, past a freshly killed Red Colobus (taken out by a Crested Eagle) and got back to the car at 2.30. No sign of any Sanje Mangabeys, though there was a Vervet Monkey near the village. We’d planned to leave early the next morning but the lack of Mangabeys required a change of plans. Godlie offered to ask the other rangers about the missing monkeys and I arranged to meet him at 7am on the next morning. I slept fitfully, dreaming of monkeys that I would never see. The next morning Godlie had good news. 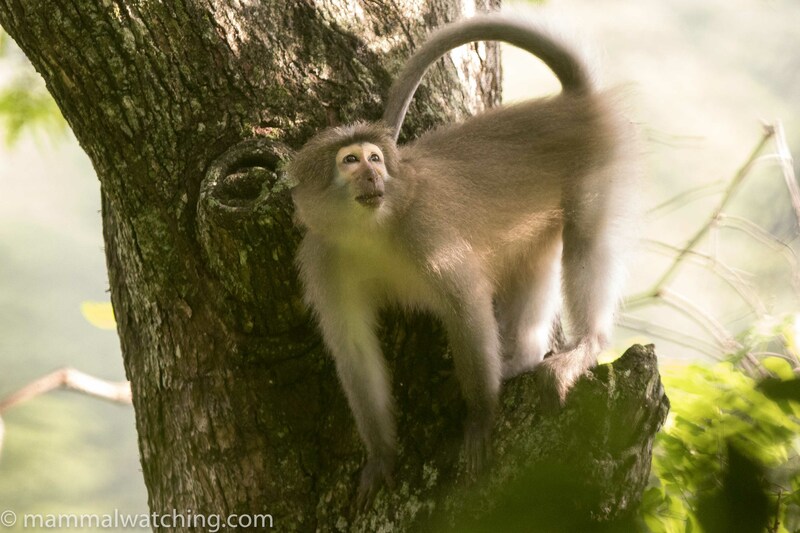 A ranger had heard Mangabeys calling near the start of the Sanje trail late Sunday afternoon. So we drove to the trail head there in the hope they were still around. The Sanje trail starts steeply, but after 15 minutes sweaty walk Godlie heard the monkeys. Good views of a group of 25. These animals are not habituated: they didn’t stick around and were a lucky sighting along this trail. In two years, Godlie had only seen them 2 or 3 times from the Sanje trail. So a very big thanks to Godlie for his hard work in tracking them down. I would advise contacting him direct before you visit the park. 8 hours later we were back in Dar, after passing a similar set of animals in Mikumi we saw on the way in. A big thanks to Selim – our reliable and tireless driver – and to Godlie for working above and beyond the call to find the Mangabeys. Five days later we were in Arusha with Charles and Lara Foley, drinking beer and watching the sun set from their veranda. Life was good. Charles had found the time to organise a weekend expedition to the lovely Manyara Ranch Conservancy, close to his and Lara’s old home, Tarangire National Park. After Friday night with the Foleys (thanks again Lara for the best food we had in Tanzania), Charles, Amber and I set off on the 90 minute drive to the ranch the next morning. 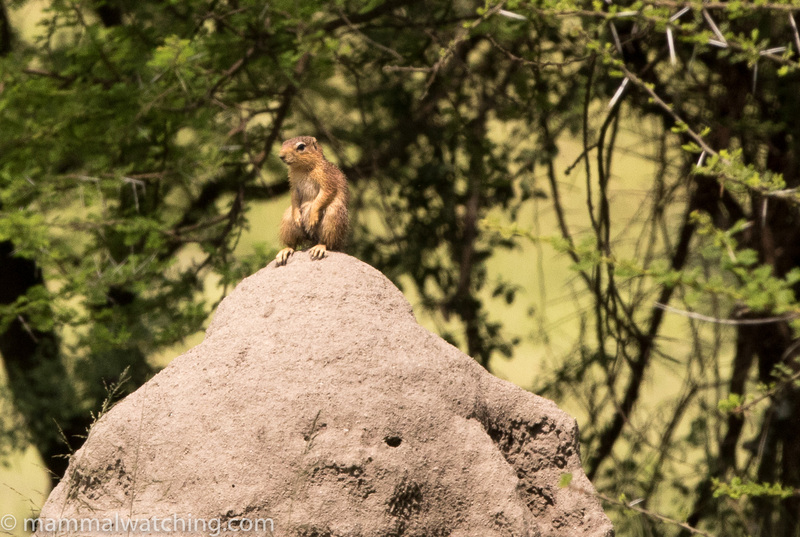 Mammal watching in Tanzania is expensive. Manyara Ranch is no exception. However because the ranch is outside of a national park it offers considerably more mammal watching flexibility than some of the other safari camps. 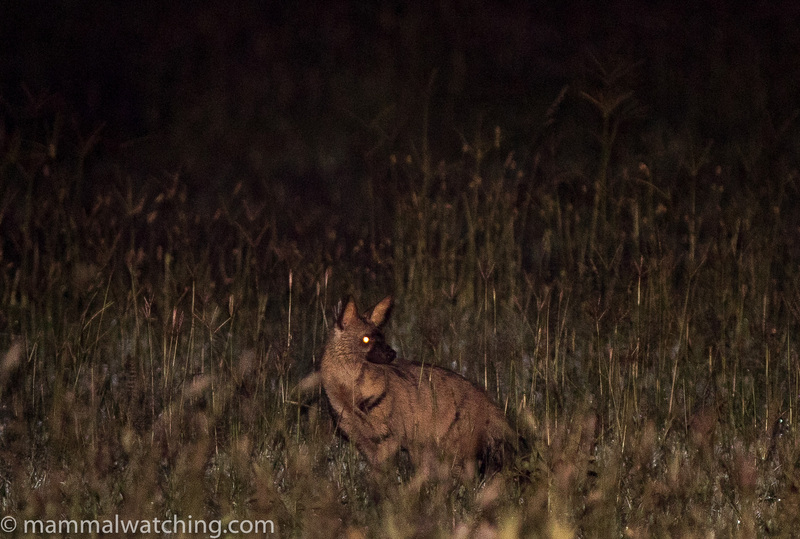 This freedom to do our own thing (particularly at night) made it a good choice for some serious mammal watching in the Arusha area. It was also Amber’s first time in Africa so we thought the ranch would also offer a nice introduction to the safari life and some respite from the rodent fest Charles and I were looking forward to. Fifteen years ago Manyara Ranch was a degraded cattle station, largely free of wildlife. The 35,000 acres has recovered into a beautiful slab of bushland with a lot of wildlife. 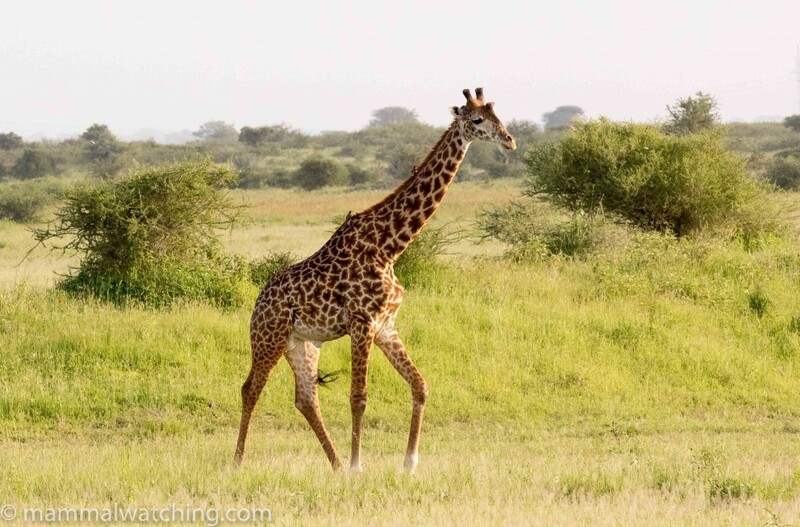 The concession borders Tarangire National Park and Manyara National Park, and much of the wildlife on the ranch wanders between the parks. 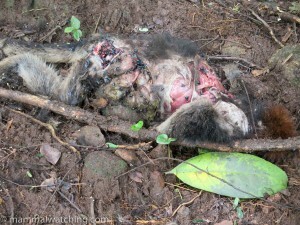 We spent 2 days on game drives and poking around for rodents and bats. The Tanzanian rains don’t usually start in earnest until March but February 2016 had been wet. As a result quite a lot of the property was out of our reach: either too muddy or on the other side of a flooding river. This is unusual. Nevertheless we managed to see 30 species. 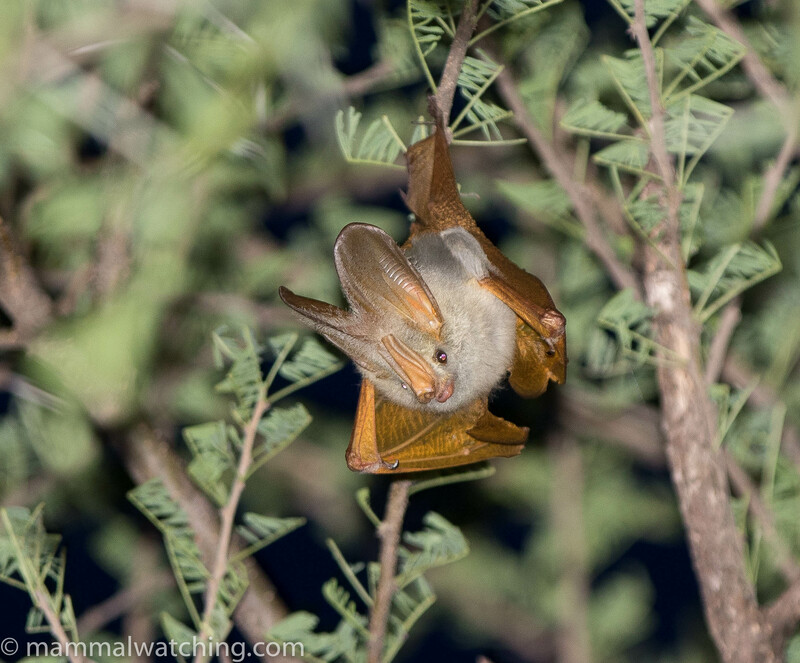 The highlights for me were my first Yellow Winged Bats (common around the camp at dusk) and Senegal Bushbabies. 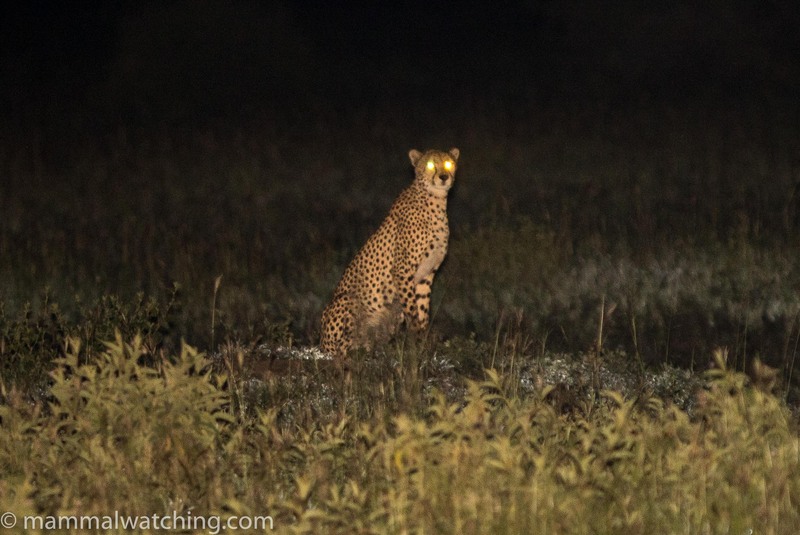 These were hard to find on the first night – I glimpsed just one in front of the camp at 7.30. 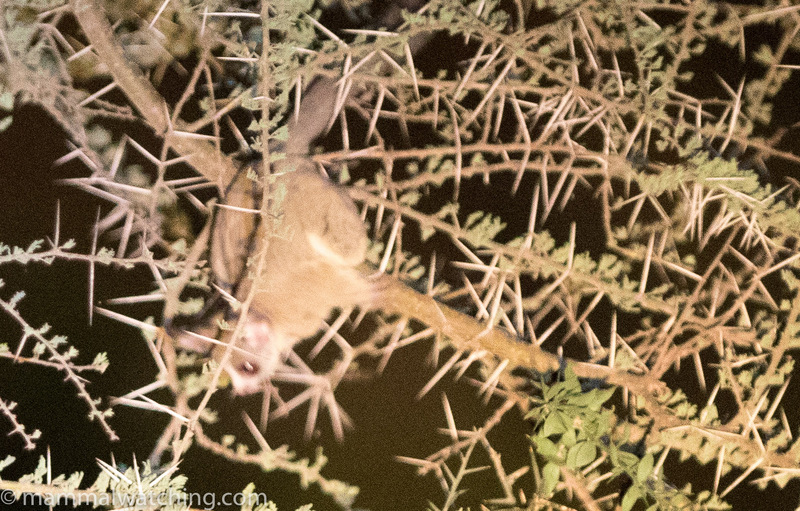 On our second evening we saw at least 10 in the acacia trees during a night drive. 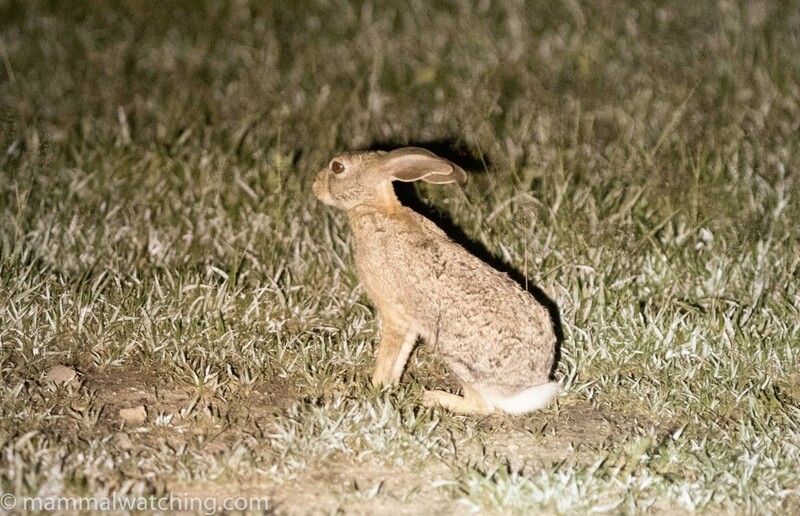 Spring Hares were also quite common and it was only when I got back to New York that I realised that the East African species here, Pedetes surdaster, has been split from the southern flavour (Pedetes capensis). Close to camp we saw several Spiny Mice (Acomys wilsoni), and a Multimammate Mouse (Mastomys natalensis). During night drives we had prolonged views of a Fringe-tailed Gerbil (Tatera robustus) a species I had seen only once before in Ethiopia, and brief views of a smaller Gerbil, almost certainly a Least Gerbil (Gerbillus pusillus) (this is the only small gerbil that has been recorded in the area during extensive field surveys). 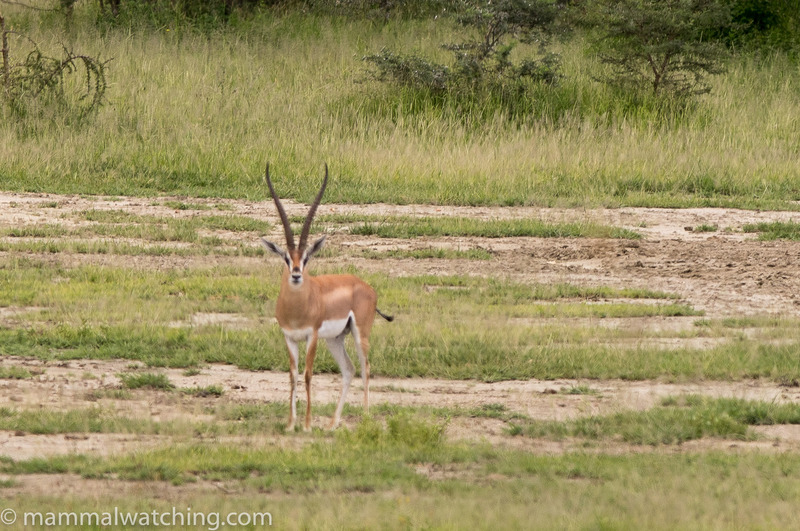 New species aside, we saw plenty of Zebras, Eland (including an enormous herd of 100 +), Grant’s and Thomson’s Gazelles. 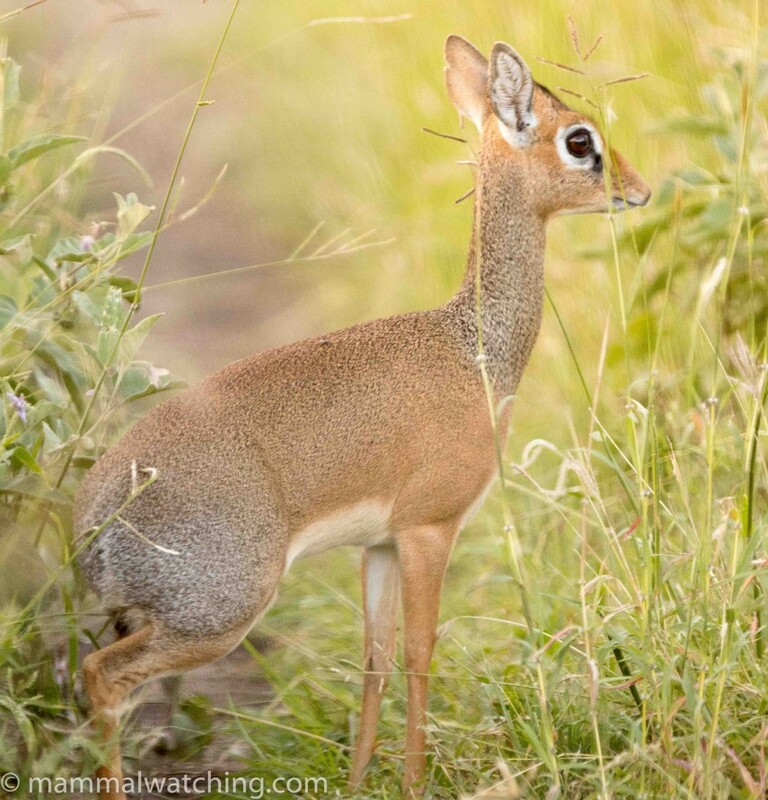 We also had Wildebeest, Impala, Warthogs, Giraffe, Olive Baboons, Vervet Monkeys, a troop of Banded Mongooses, Unstriped Ground Squirrels, and Kirk’s Dik-diks. 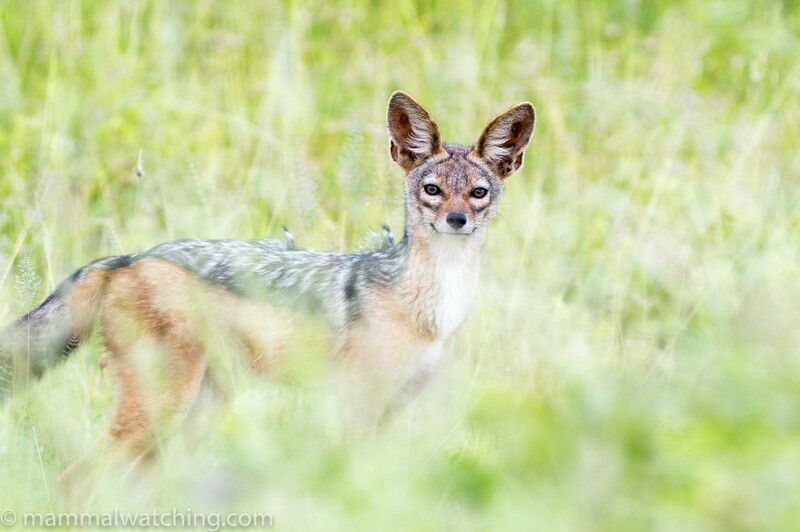 As well as a Lesser Kudu, Waterbuck, Black-backed Jackals and Bat-eared Foxes. Plus a Common Genet or two, an Aardwolf, and Amber’s first big cat, a beautiful male Cheetah. With dryer roads, and a less swollen river, we might well have added Lions (which we heard) and Elephants to the haul. Though in truth the food was so good, and the conversation so entertaining over dinner (we were sharing the camp with a group from Milwaukee who weren’t letting jetlag come between them and a good time), that I am not sure we’d have spent many more hours in the field even with better conditions. Oh and did I mention it was an open bar: two words guaranteed to strike terror into the hearts of anyone hoping to find energy for a night drive! 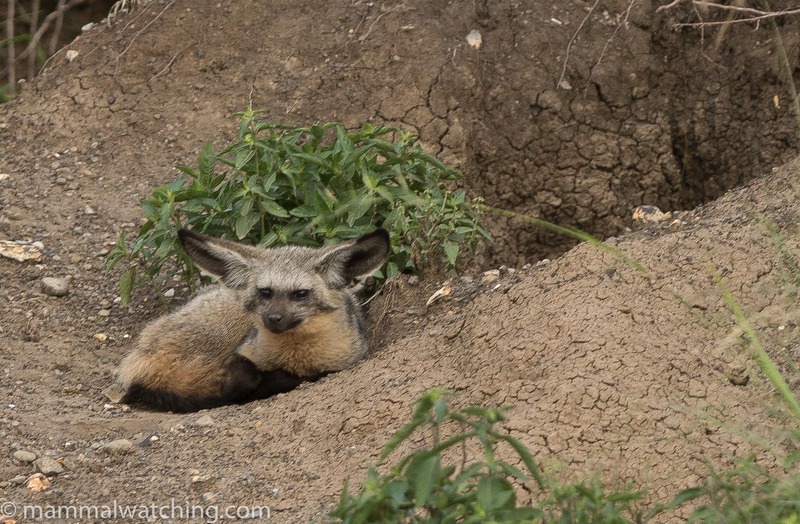 Two species we looked for but missed were Striped Hyenas and Southern Tree Hyraxes. Both Striped and Spotted Hyenas are on the ranch, though Striped are more common. We visited an active den but couldn’t turn up the animals, while Milwaukee’s finest saw one in the middle of the day. 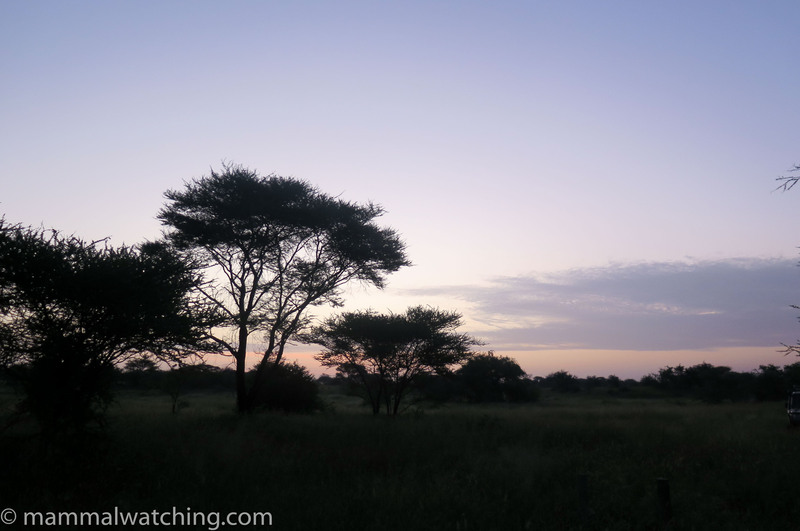 We heard Spotted Hyenas calling in the distance on our second evening. I’d never seen Southern Tree Hyraxes. Alan – the helpful and very knowledgeable camp manager – directed us to a fig tree along the river which usually housed a resident pair. 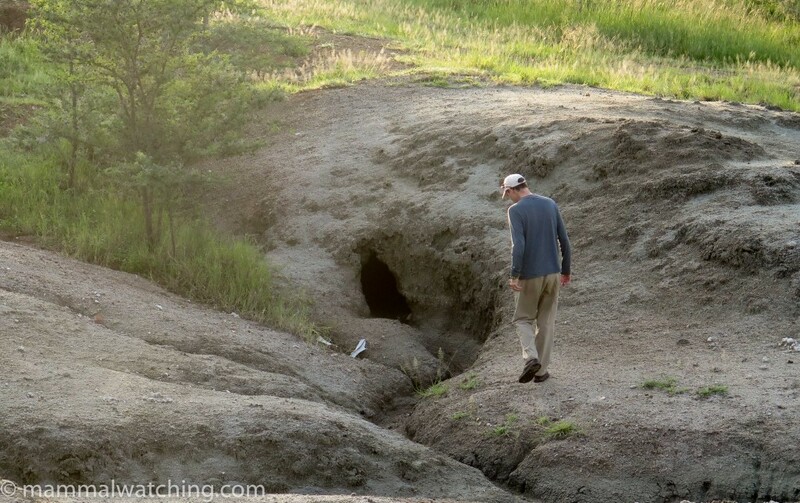 The height of the river – or a hungry Marshall Eagle – might have explained why we couldn’t find them. The other good Hyrax spots were impossible to reach until the river dropped. A great weekend and a heartfelt thanks to both the ranch and the Foleys for looking after us so well, and – even more importantly – giving me another 5 lifers.